Rupert Terrace Green Space is in the downtown area of the city of Victoria, one of thirteen communities that form the Capital Regional District of British Columbia. This triangle shaped grass covered rocky knoll is at the junction of Rupert Terrace and Quadra Street near downtown Victoria, BC. 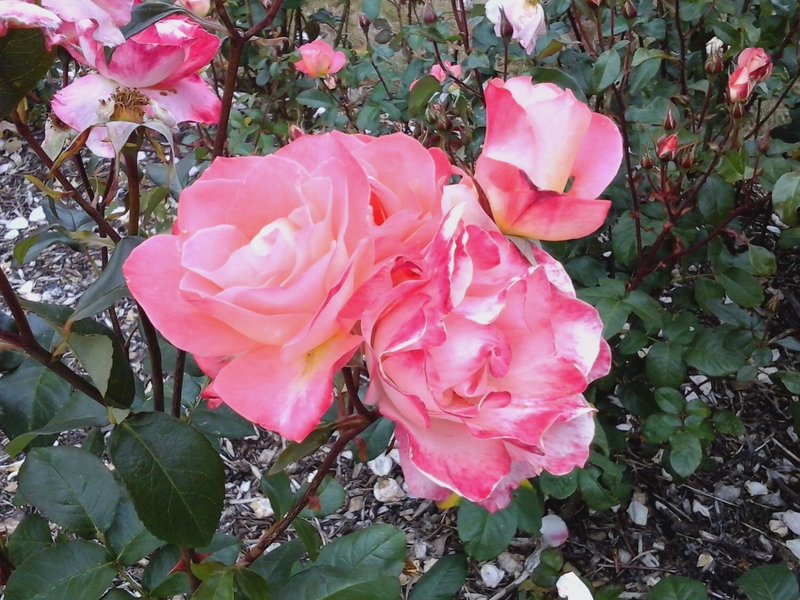 There is a bench to rest at while enjoy the wonderful rose garden and watching the vehicles travel along Quadra Street. There a few small trees that provide limited shade to the green space. Sidewalks border the green space, forming a hundred meter long loop as part of your walk in your backyard. 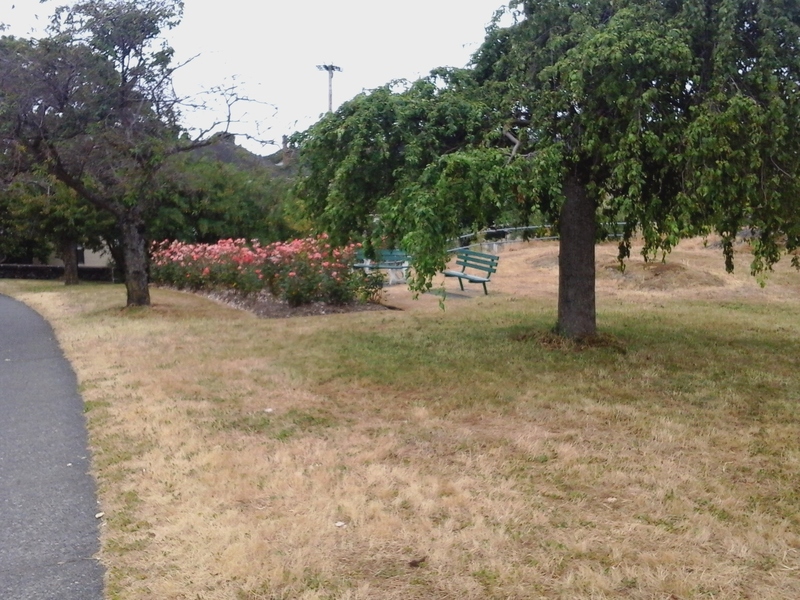 The green spaces of Mcclure Street and Collinson Street and to the gardens of Mt. St. Mary Hospital, St Joseph’s Hospital and St Ann’s Academy are nearby. Rupert Terrace Green Space can be reached from the Trans Canada Highway. Continue along the highway as it becomes Douglas Street. Turn left onto Burdett Street and continue to Quadra Street. Turn right on to Quadra Street and look for the green space along the right. There is limited roadside parking along these streets. City buses travel to the park from downtown Victoria.